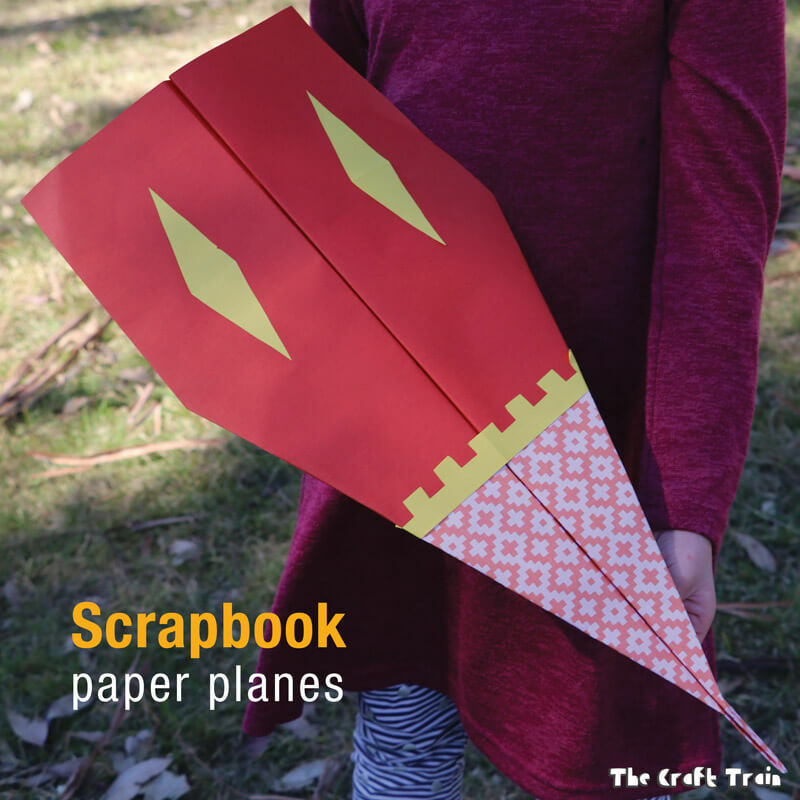 Everybody’s made paper planes before, but have you ever made scrapbook paper planes? As a craft blogger my girls have an extraordinary amount of creative materials at their fingertips, and they like to make the most of it! One of the materials I’ve been collecting a lot of over the years is scrapbook paper, even though I never plan to use it for scrapbooking. 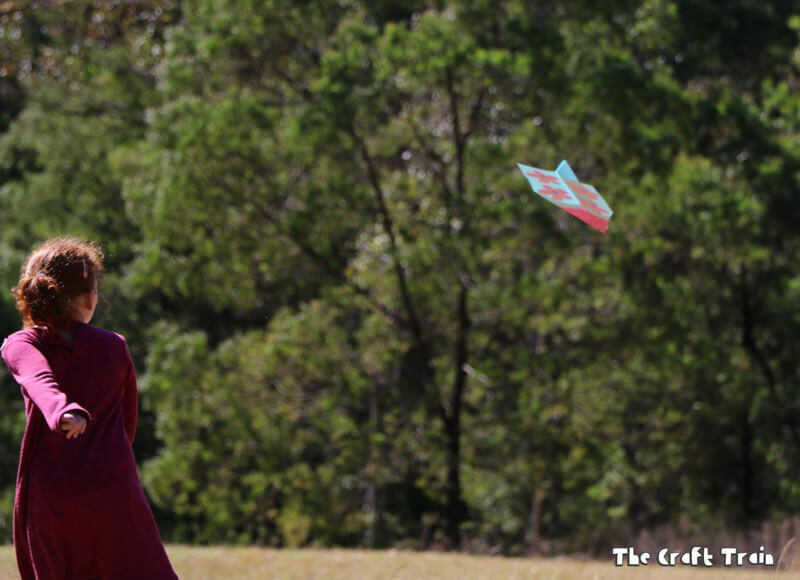 We decided to put it to good use with this crafty STEM idea for kids. 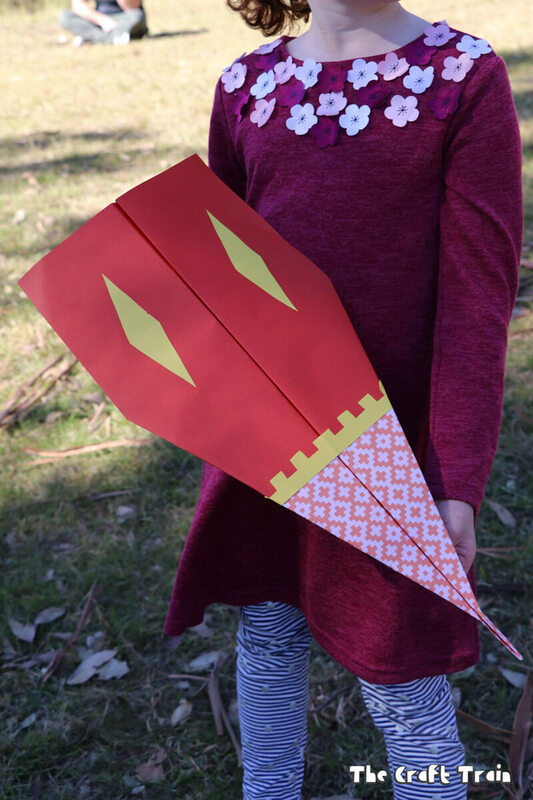 Let us present our big, fancy scrapbook paper planes, each made with two sheets of scrapbook paper glued together and embellished with decorative shapes cut out from contrasting colours. They certainly do, but they are too big to fly in the house. 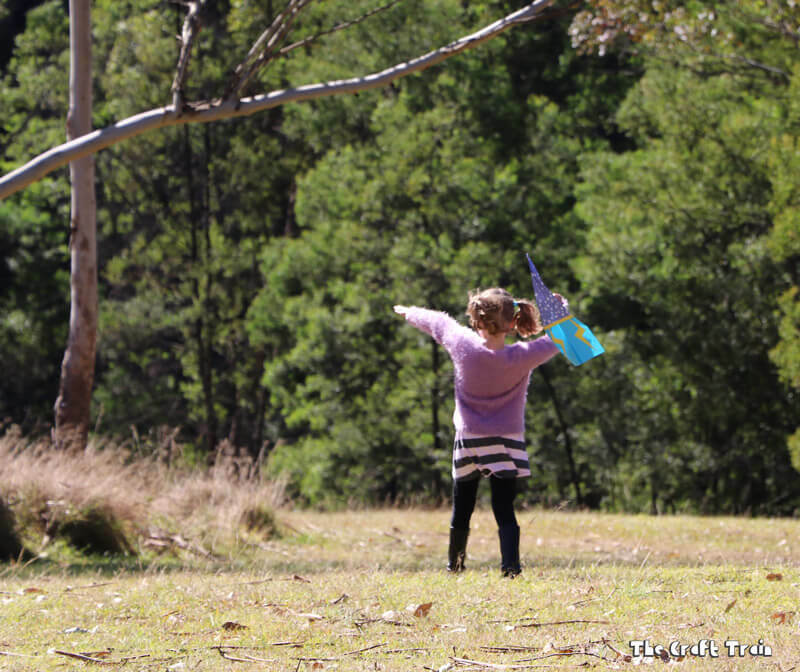 We discovered that when we stand on our verandah and toss them off into the yard they go almost all the way to the road. That’s about three lounge room lengths for us! Apparently big planes fly further than small planes. 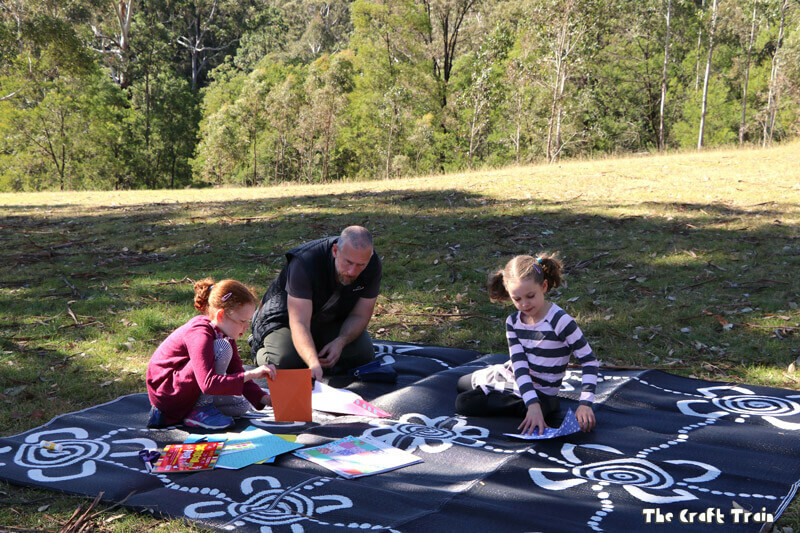 So we decided to take our planes and craft supplies into the clearing in our local national park to see how far they could really go. Unfortunately it happened to be a very, very windy day. Our planes flew well but in the process they were tossed upside down and twirled around in the wind (hence the photos of planes flying upside down). I’m sure if you take them on a day with calmer weather you’ll have a totally different experience. Note: For each of the below steps I have glued the folds down with my glue stick. 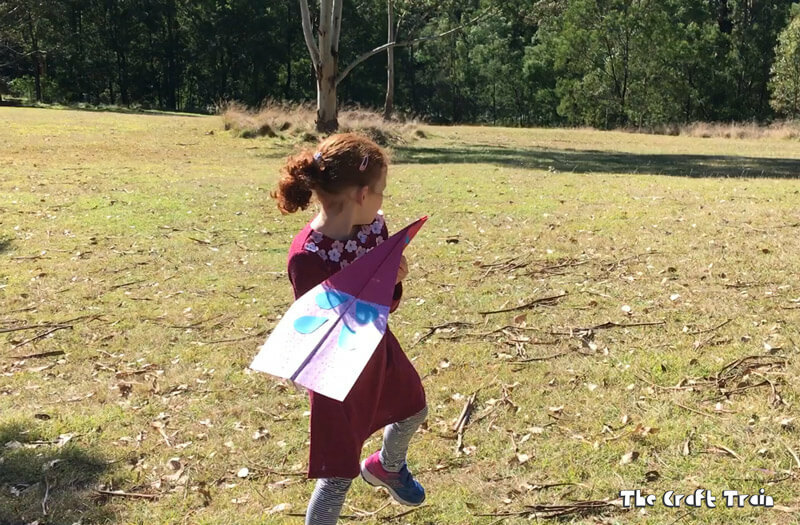 This is optional, I did it because I found the large paper planes needed a bit of extra enforcement to hold their shape better. My kids made some without glue and they turned out OK too. 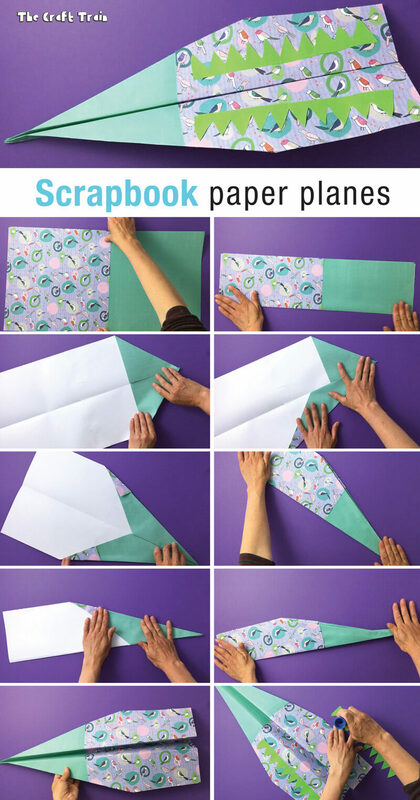 Glue two square sheets of scrapbook paper together creating an oblong. We used one patterned and one solid colour. Turn it over so the coloured and patterned side is facing the surface you are folding it on. Fold in half vertically. Unfold. Take one corner and fold it into the centre fold, repeat with opposite corner. Take the straight line of the fold you have just made and fold it again to the centre fold. Repeat with the other side. 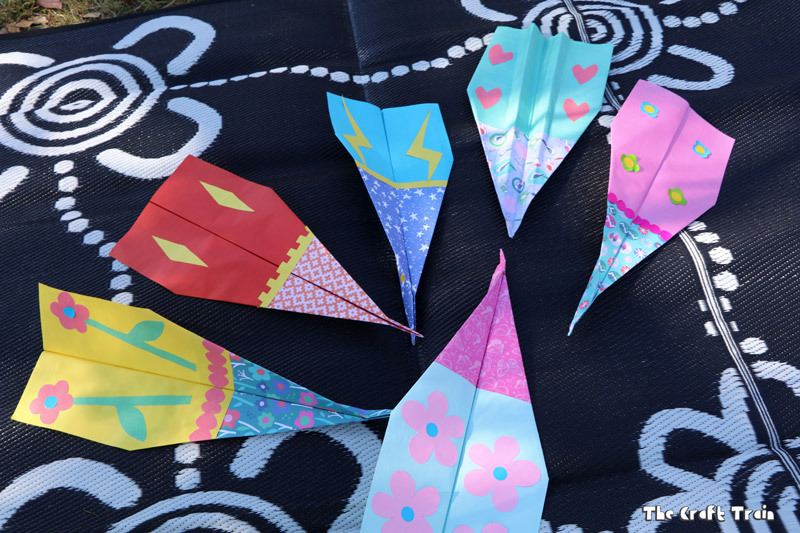 Fold in half vertically again with the coloured and patterned side on the inside of your fold. Fold each half down creating a fold line parallel to the vertical fold. Now you have a plane! Decorate it any way you like with additional scraps of paper. Technically the additional glued-on decorations may just slow your plane down and make it heavier. This could be something worth experimenting with! • Did you know you can make a toy swing set from a bunch of paper straws?